Ask a Local: What Should I Do/See/Eat in Ottawa, Canada? Today, I’m thrilled to introduce my fabulous friend Sonja, a blogger, dog-lover, and generally creative and insightful lady who I’ll be visiting up in Canada very soon. 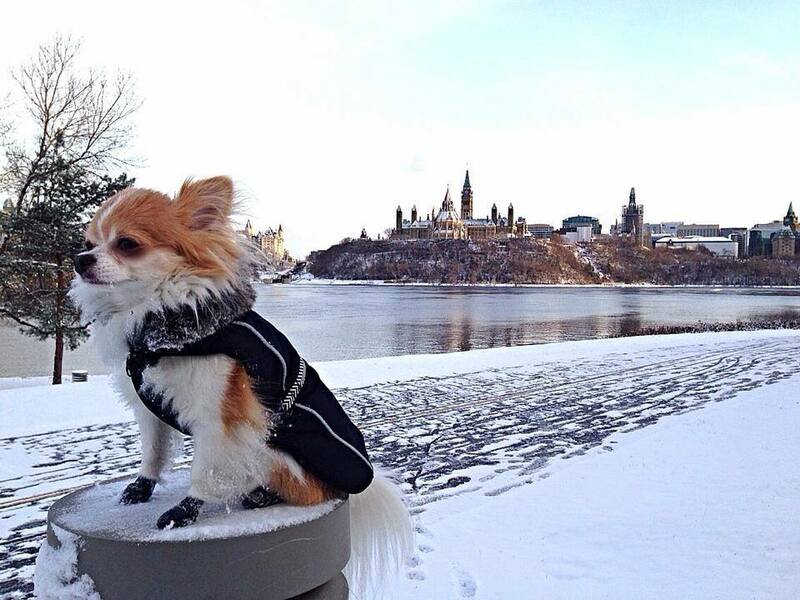 She’s here to give you an insider’s perspective on Canada’s capital city: Ottawa. My name is Sonja Lishchynski. I was born in Toronto to a diplomatic life thanks to my Dad. I was three weeks old when I flew for the first time from Toronto to Trinidad where my father was posted…and I’ve been traveling ever since. We moved every four years, mostly within Europe, including Moscow during the iron curtain years, Ankara during the Turkish and Cypriot war, and Bonn when the wall came down in Berlin. Eventually, after my studies in Switzerland were over and my “party” days in London started to feel old, I moved back home to Canada. 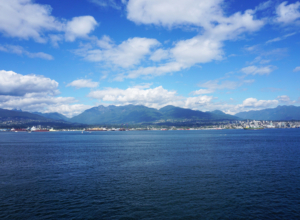 Having lived only four years in Canada prior to that return, it didn’t feel like home. I was used to Europe more than North America, so it was a tough transition at first. But now I love Ottawa, where I have put down something resembling roots over the last 20 years. The more I travel, the more I love this country and this city. I work for the Federal Government of Canada and I am also a children’s book author and avid travel blogger. 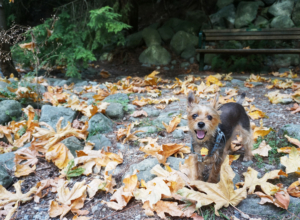 My blog, Montecristo Travels, is focused on international travel with a small dog. So obviously my greatest passion is travel. But I am also very involved in animal welfare, fitness, and nutrition and, last-but-never-least, my relationship with my partner, Stefan Dumas, and my little bundle of fluff (who also happens to be my muse): Montecristo. If someone is visiting Ottawa for the first time, what do you recommend they do and see? The question is difficult because our climate is so extreme (ranging from -40 to 104 fahrenheit). So it depends when you’re visiting. 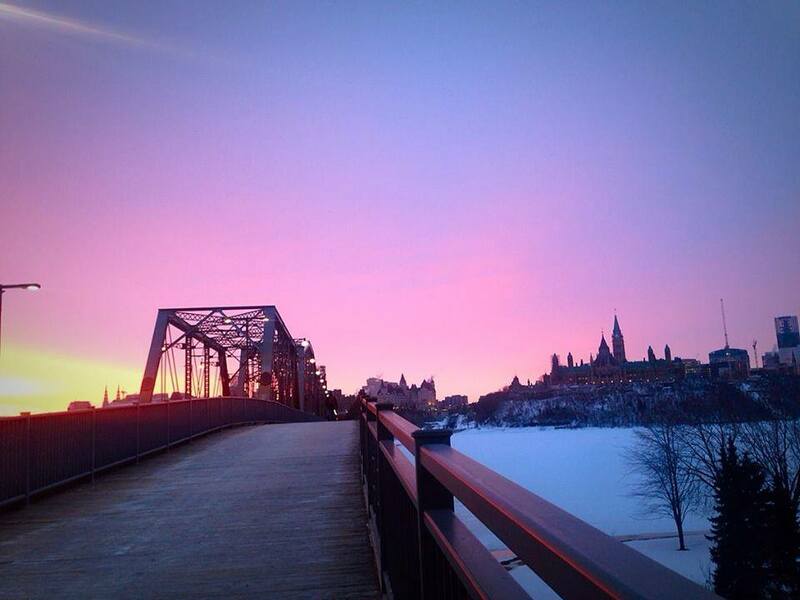 Ottawa is far too often overlooked and it’s a shame really. It’s such an interesting city (and region). Separated by the Ottawa River, you have Ottawa on the Ontario side and Gatineau on the Quebec side, where the English and the Francophone lines meet! Parliament Hill is an obvious must-see in either season. Make sure you go when the library is open and a part of the tour. Note that there is a security check similar to going thorough security at the airport. The hill around the building is open to the public, so no security hassles there. We even have “Yoga on the Hill” during the summer months. Not only are the parliament buildings beautiful and architecturally designed on the same lines as parliament in London, but they offer a great chance to understand Canadian politics. Ottawa is Canada’s National Capital, after all. If you are visiting in the winter, you must rent some ice skates at Dows Lake and skate along the Ottawa Canal. It’s a Unesco World Heritage Site. And even in the warmer months, take time to visit the world-famous locks. Every Sunday in the summer, a street on one side of the canal is closed off to car traffic and only accessible to cyclists, roller skaters, and roller bladers. You’ll find the famous locks between Parliament and the Chateau Laurier (a Fairmont Hotel). The park behind the chateau will lead you to the Byward Market (often just called “the Market”) area on the right and our National Art Gallery (NAG) straight ahead. You can recognize the NAG by its glass dome roof and the humongous statue of a black spider there to welcome you at the front gate. She is called “maman” (meaning “mother”), for she has eggs under her belly. Apparently spiders are very maternal. Who knew? The Museum of Canadian History right across the way over the Alexandra Bridge is fantastic. The building alone will stun you architecturally; it was designed by famous aboriginal architect Douglas Cardinal. And the park behind it offers the absolute best views of parliament from across the river. Also, pro tip: from May to September, there is a little electric water taxi that connects the Ottawa Canal locks to the Museum of Canadian History. It’s a chance to be on the water and is the most relaxing boat ride I have ever taken. It’s less than $10 and takes about 10 minutes (and it’s pet friendly). I often recommend people walk over the Alexandra Bridge to the museum from Ottawa, but take the little boat back. Back in Ottawa, further down the river, down Sussex Street, the Governor Generals gardens are worth a visit. Again, it’s a piece of Canadian politics. They are located right across the way from the Prime Minister’s residence (which is not open to the public). Ottawa is a city of festivals. There really does seem to be something going on nearly all the time. So look into it. There is Winterlude in February, the Tulip Festival in May, and Bluesfest and the Chamber Music Festival in the summer. Not to mention the Hot Air Balloon Festival in September. The haunted walk is actually really interesting and also gives you a chance to see the old prison that is now a youth hostel. Ottawa’s best kept secret, though, is the experimental farm. 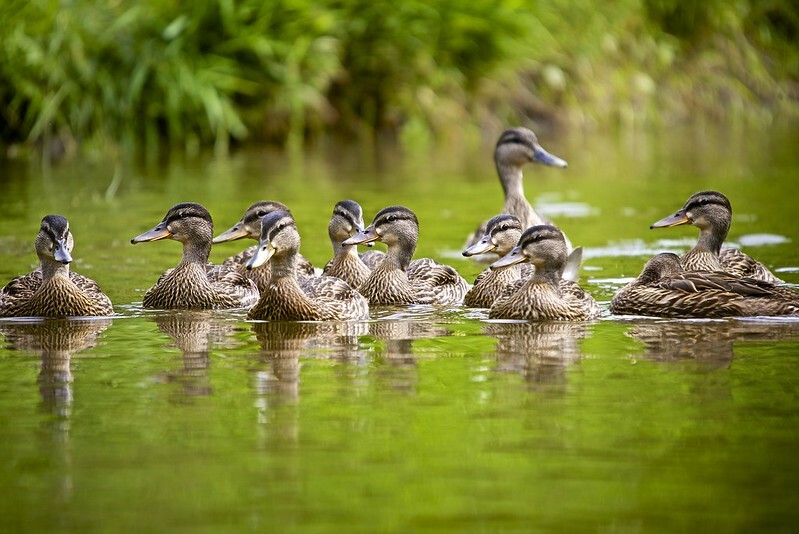 It’s a 1.5-square-mile national historic site and a complete working farm with animals, fields, long walks, an enormous collection of ornamental plants, a rose garden, and so much more. It’s particularly stunning in May when the lilacs are in bloom. Walk it, roller blade it, or cycle it! Enjoy some of the Victorian historic buildings on the ground, as well. If the cold war is something you are interested in, there is the Diefenbaker bunker. It’s a 100,000-square-foot underground bunker meant to protect 535 Canadian government officials and military officers in the event of a nuclear war. The Diefenbunker (nicknamed after then Prime Minister John Diefenbaker), was a secret from the Cold War. 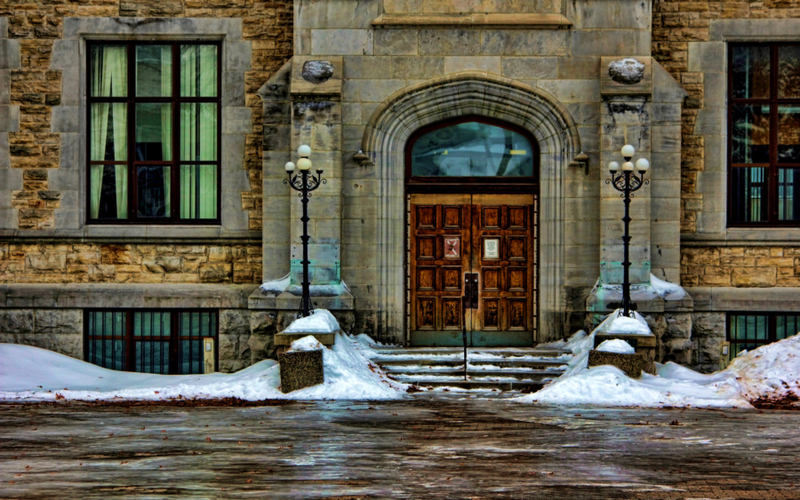 If you have children or just get stuck in Ottawa in freezing cold weather or during our famous summer storms, the Museum of Nature in its beautiful castle-like building or the Museum of War in its ultra-modern building might be of interest. Lastly, I do love the Red Baron-style plane ride you can take from the Ottawa Museum of Aviation during the warmer months. It’s one of those things that everyone sees, but is just not widely advertised. Most locals don’t even know where it actually takes off! Keep in mind, you will need to book well in advance. To reserve, call 613-316-7229. What neighborhoods do you recommend staying in for those who want to get a real taste of Ottawa? I think the market is a good bet. So is the financial district, where you will find posh hotels like the Lord Elgin or the more modern Arc. If you are couch surfing, then I’d say try to find something in the golden triangle area, as we call it. It’s a zone that connects New Edinburg and Rockliff on one side, The Glebe and Westboro on the other. Pro tip: everything is actually cheaper on the Quebec side, especially hotels. Don’t be afraid to look at the Hull area of Gatineau. Hull was once a spot for nightclubs, strip clubs, and bar fights, but no longer. You’ll find far more bang for your buck in Hull near the Museum of Canadian History and you are only a 15-minute bridge crossing away from Ottawa. You must go to the Mackenzie King Estate. Mackenzie King was one of Canada’s most beloved and longest standing Prime Ministers. His estate is absolutely wonderful. It’s also pet-friendly and an easy and comfortable stroll. There are lots of paths, lakes, and woodland areas to discover. It’s on the Canadian Shield in an area known as Chelsea on the Quebec side only a 20-minute drive from downtown Ottawa. The estate proper is a fun visit. The initial home is now a tea room. He used to collect facades from buildings that were being demolished; he’d rescue them and place them on his property. So there are wonderful “ruins” dotting the landscape. While you visit the estate, do stop in tiny Chelsea. It’s where the main entrance and visitor center for Gatineau Park is located. Stop at La Cigale for delicious homemade ice cream and baked goods. It’s only open in the summer. Chelsea also boasts the NCR’s very own Scandinavian-style baths and spa: The Nordik. Quietly (no talking!) you can go from hot to cold water, sit out in the sun or by the fireplace, enjoy the salt pools, a massage, and more…and all of it outdoors. And yes all year round! There is something magical about sitting in hot water, jets massaging your back, while it is snowing. In the summer, you’ll even spot hummingbirds flitting about and the infinity pool offers an amazing view of the Canadian Shield. If you go during the Leaf Festival time (early October), you’ll see the most extraordinary foliage colors. Pro tip: bring your own flip-flops and bathrobe in order to avoid paying to rent theirs. Note that cellphones are not permitted past the locker rooms. You’ll see some folks cheating, but you can get kicked out if caught. If you enjoy colonial times, Upper Canada Village is not too far away. You’ll enjoy walking around in a colonial village, learning about how people lived in those days. Take a horse and carriage ride and enjoy old fashioned foods and the atmosphere of a time gone by complete with folks dressed up in costume. Children especially love it. Finally, Perth is a small town that I really enjoy. It’s about an hour from Ottawa and has some great food and an interesting history. It’s not very big, but perfect for an afternoon away. Try and make it during the Maple Festival early spring or in the summer during the farmers market. 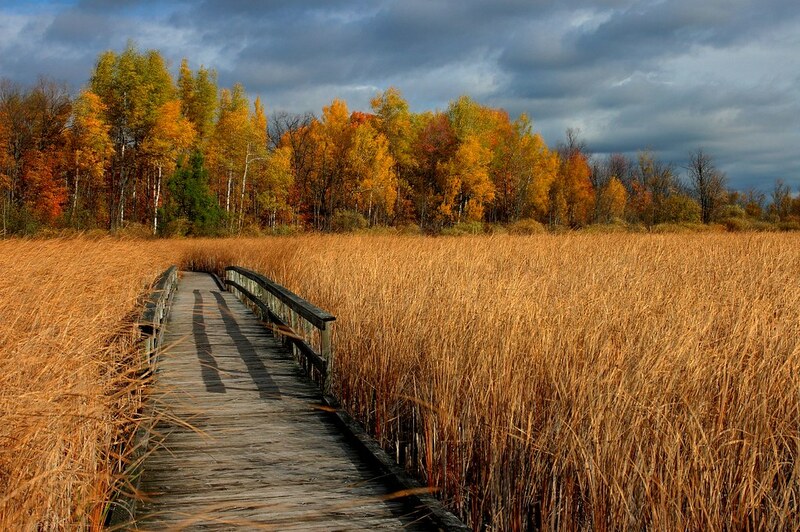 Let’s talk about walking…what nearby walking trails or natural areas would you recommend? Wakefield is a gem less than an hour away from Ottawa. 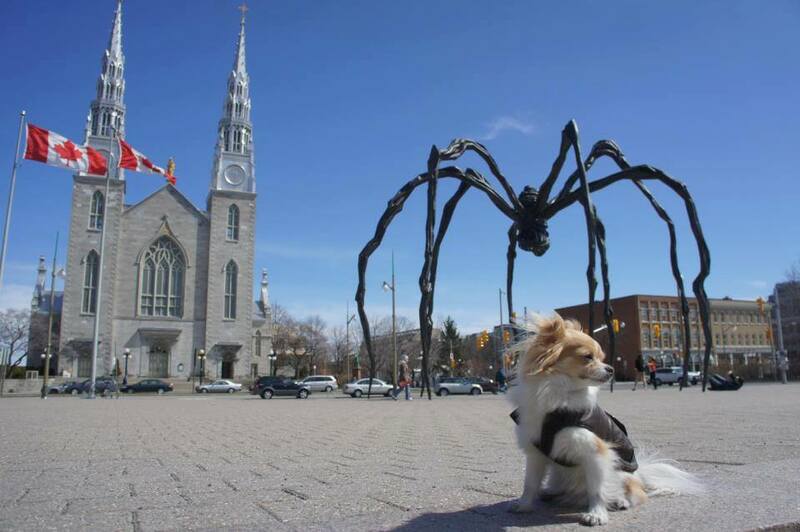 Just like Chelsea, it’s on the Quebec side, so don’t let the British town names fool you! It’s not a big town but it has so much to offer! Bring an empty water container and just before entering Wakefield stop at the fountain. It just looks like a sad old parking lot, but there is a free fresh water spring there. It’s cold and delightful and straight out of the earth. Wakefield has really great little eateries. We love that the patios tend to be pet-friendly (a very rare thing in the area). Food ranges from good pub fair to the more refined local products found at the Radisson. You’ll get a lot of choices. Walk up and down the only street and take your pick. Just off the main street and up a hill, you’ll find the famous Wakefield Inn. It’s a lovely place to stay if it’s in your budget. Many trails lead from that area and they’re very well maintained by a local group of volunteers. We like the loop that starts and stops at the cemetery. Of note: see if you can find the super discreet tomb of one of Canada’s Prime Ministers while you are there. 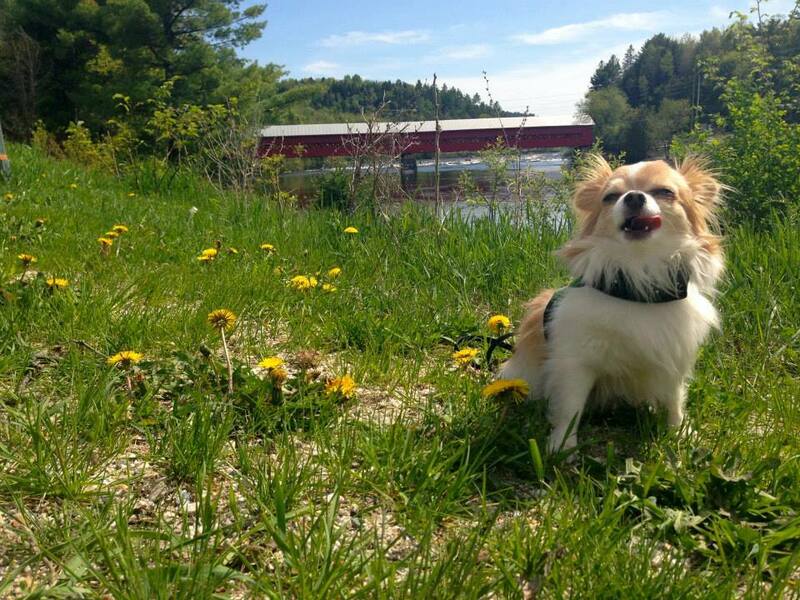 Do take a moment to visit the beautiful old covered bridge in Wakefield. There is a small museum and trails there as well; in the summer, kids jump off the bridge in a daredevil competition. And the best thing about the Wakefield trails? They connect to the National Capital Commission (NCC) trails of Gatineau Park. This is an enormous national park with multiple lakes and hundreds of trails. All year round, you can hike. In the winter, some trails are specific to cross-country skiing or snowshoeing. In the summer, there are even mountain bike trails and beaches at some of the lakes. If you like a bit of a challenge, you can bungee jump just before Wakefield or do a zip lining treetop tour at Lafleche Park (lafleche@arbraska.com; phone: 877.457.4033). Tell us about the food from your region. What local dishes and drinks should people try while in Ottawa? Don’t let the “government and student” town reputation fool you. Ottawa has some really great restaurants. As for what’s truly local fare…I mean we have beaver tail sold from these little huts. It’s a pastry in the shape of a beaver tail–delicious and very calorie dense. You also may want to try and find a really good poutine place. Poutine is a classic Quebecois dish consisting of fries, gravy, and curd cheese. The key to a great poutine is fresh (never frozen) fries. Personally, I like JP’s Crispy Chips (near Baseline Road and Clyde Street) or S and G Fries & Burgers (1845 Carling Avenue). In the warmer months, I recommend stopping at the farmers market in Landsdown. The rule there is that it must be local. Nothing is allowed to be further than a specific radius around Ottawa. There is one exception and that is the fruit vendors, since our area does not reliably produce anything other than apples. 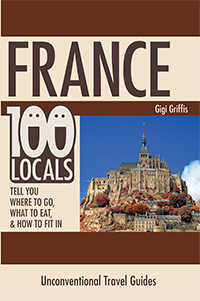 You’ll find local cheese and meats and breads and desserts. What are your top three favorite bars and restaurants in your city/town/area? We don’t eat out much, so when we do we tend to splurge. Starting on the high end of the price range, I would have to say Atelier (540 Rochester Street; phone: 613.321.3537). It’s a 12-course set menu you can enjoy with or without wine pairing. It’s the only place where I can honestly say my mind was blown. They don’t use conventional cooking methods. No stove or oven. But rather things like dry ice and sous-vide. If you are a real die-hard foodie, this is it. Others that come to mind easily are North and Navy, Whalesbone, and MeNa. If you are vegetarian or vegan, I highly recommend the Green Door and Rawliscious. Not to be left out, Ottawa and Gatineau have a huge variety of local microbreweries. The more well-known ones are The Mill and Les Trois Brasseures. And if you fancy tasting the Northern Township beers all at one stop and enjoy a fantastic meal, you should head out to Martha’s in Orleans (yep – suburbia!). 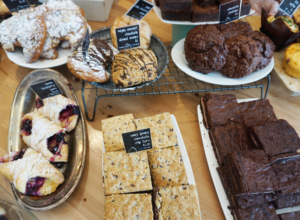 Our favorite place to walk to on a Sunday is the French Baker on Murray Street. You’ll get pastries and bread just like in France. The best burgers in town are kitty corner to the bakery in a small place called Chez Lucien. For the best pizza you’ll have to cross the river to Gatineau’s Pizzaza. We are coffee lovers. So I can’t end without mentioning that Ottawa has its own coffee shop chain called Bridgehead. It’s all shade-grown coffee, sustainably farmed and the chain is very eco-driven. The food is good, too, so its an easy stop for a quick bite. They make their own pastries and breads and roast their own coffee every day. Try the seed loaf or the quinoa curry salad. For die-hard coffee lovers and for those not afraid to go way off the beaten path, you can’t go wrong with Happy Goat. Its Ottawa’s best kept secret. They roast their own coffee and it’s the best in town. You’ll think you’ve come to the wrong place because it looks like an old mechanics warehouse, with its rolled-up door and mismatched old furniture, but it’s one of the most pleasant places to relax in Ottawa. Do you have any tips for saving money while traveling here? The Ottawa Youth Hostel is in the old prison and I find that wonderfully quirky. Also, the National Gallery of Canada has free admission to the permanent collection on Thursdays. Many festivals are free or as close to it as possible. Canada day, for example, has free concerts, activities, and fireworks. Winterlude is free as well, as is skating on the canal. Another money-saver is food trucks. In the warmer season, Ottawa has a really great round-up of food trucks. And there are more every year. Also, watch for food festivals on Sparks Street now and then. There is the Ribfest twice a year and the Poutine Fest once, so keep your eyes and ears open for those low-budget food options. Note that we spell English in a British way, not the American way (ex: colour, not color) and no one likes to hear someone say “you are spelling it wrong.” We don’t like having folks point out that we say “eh” at the end of many sentences either. And yes, everything is bilingual. We are a bilingual country. You can have your menu in English or French or sometimes both languages. Street names, restaurant names, and descriptions will all be bilingual. And yes sometimes staff will have a French accent when they speak English. Don’t give them a hard time. They come from Quebec and they are Canadian. Ottawa is a very physically active town. If you hike, bike, skate, snowshoe, cross-country ski, sail, rock climb, and so on, you can easily find a group to join in order to meet some like-minded folks. Famers markets are a great place to meet locals, as well. People here are really friendly and will happily help you find your way if you even look remotely lost. If you love pets, then you should try WAG on Bank Street. It’s an amazing pet boutique and coffee shop where you can plop down with your laptop, have a coffee, and hang out with folks and their pups. Where are the best places to get a memorable photograph of Ottawa? For an amazing aerial view of the two sides (Ottawa and Gatineau with the river between them), walk to the park behind the NAG. You’ll see a statue of Champlain and lots of steps below him. From that statue you will get the most panoramic views of the region. Crossing the Alexandra Bridge to the Museum of Canadian History on the Gatineau side will also provide you with plenty of amazing spots. The entire west side of the bridge is pedestrian. Once on the other side, don’t forget to go behind the Museum of Canadian History; the park there offers a great shot. My favorite spot is near the museum entrance when the water fountain is on. You can get a shot with the museum side, the fountain, and parliament. Lots of weddings get their photos done there. It’s totally cliché, but the huge spider in front of the NAG…the one called Maman that I mentioned…well, the best way to get the photo of it “over you” is to actually go down a few steps of the little amphitheater next to it. You can then shoot it from a few steps below upwards. It is the best way to get the whole statue and the beautiful Cathedral all in one shot. If you want something a bit less urban, then you’ll have to drive into Gatineau Park and make it to the Champlain Lookout. The drive and views (and hike!) are especially glorious in October with the fall colors. Ottawa is actually one of the best places to live in the world. Really. 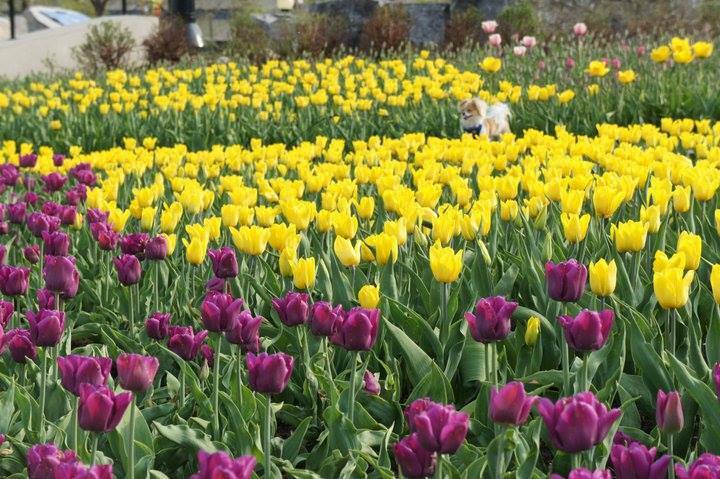 Year after year, Ottawa ends up on some “best place to live” list and with good reason. Certainly, we have extreme weather and ridiculously long winters. But it offers the best of every possible scenario. It’s large enough to have a National Arts Centre, a National Gallery, museums, and restaurants and yet…it’s small enough not to feel overwhelming. It’s green, and you can live right downtown and yet have access to cottage country and forests within a 20-minute drive. I love Ottawa. It’s safe, fun, polite and most of all it’s built on a human scale. Big enough to have all the goodies a big city offers, but without the downsides like heavy crime or gridlock. I am also really excited at the new subway system currently under construction. That is really going to change things! Where can we find Wi-Fi in town? Nearly every coffee shop and fast food joint offers it for free. Little known fact: all the National Capital Commission-owned parks in the city also have free Wi-Fi! So do most of the malls, including Ottawa’s best mall, the Rideau Centre right downtown in the Byward Market. If shopping high-end stores, partying all night long, and fancy wine bars are your thing, then skip Ottawa. But if you love a town you can walk through, with a surprisingly rich history for such a young country, really great museums, fantastic food, lots of free outdoor activities, festivals, and long trails and bike paths such as the TransCanada trail, then Ottawa is absolutely worth a stop. Drive a little beyond its city borders and you’ll find yourself in one of the world’s most beautiful places: The Canadian Shield. It’s worth your time. 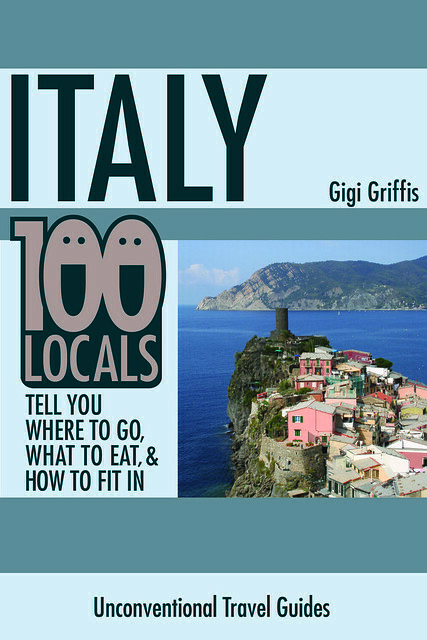 Get 300+ more interviews from top chefs, wine experts, and locals all over the world in my 100 Locals guides.